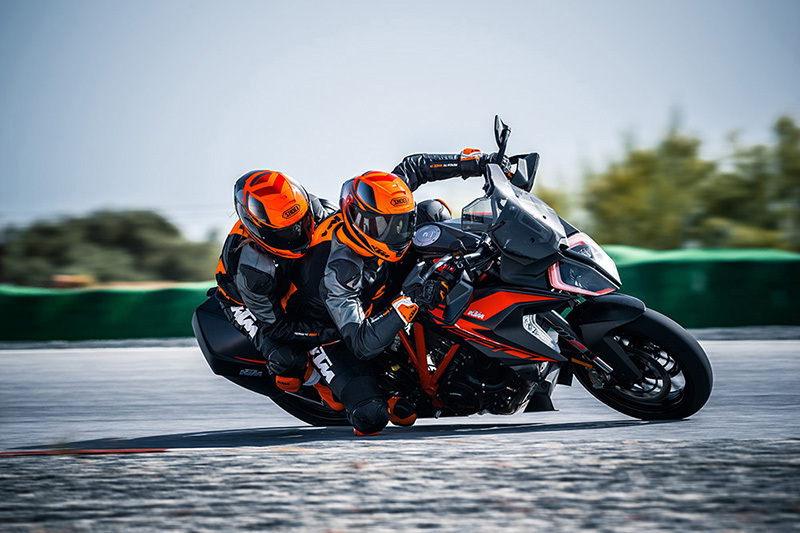 The KTM Super Duke 1290 GT is a sport style motorcycle with an MSRP of $20,499 and is carryover for 2019. 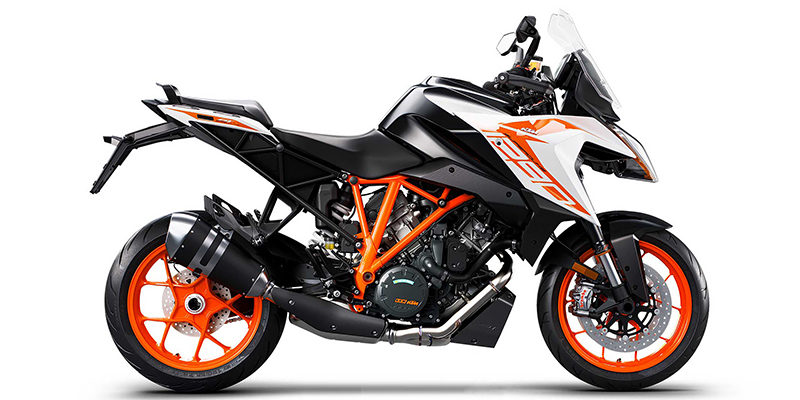 Power is provided by a 4-Stroke, 1301cc, Liquid cooled, DOHC, V Twin engine with Electric starter. The engine is paired with a 6-Speed transmission and total fuel capacity is 6.1 gallons. The Super Duke 1290 GT rides on Aluminum wheels with a Pirelli Angel 120/70 ZR17 58W front tire and Pirelli Angel 190/55 ZR17 75W rear tire. 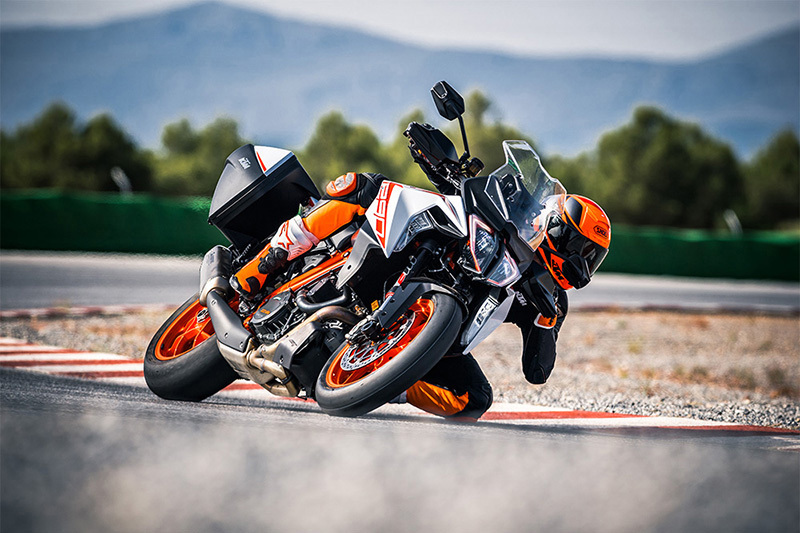 The front suspension is an Inverted Fork while the rear suspension is a Single Sided Swing Arm. 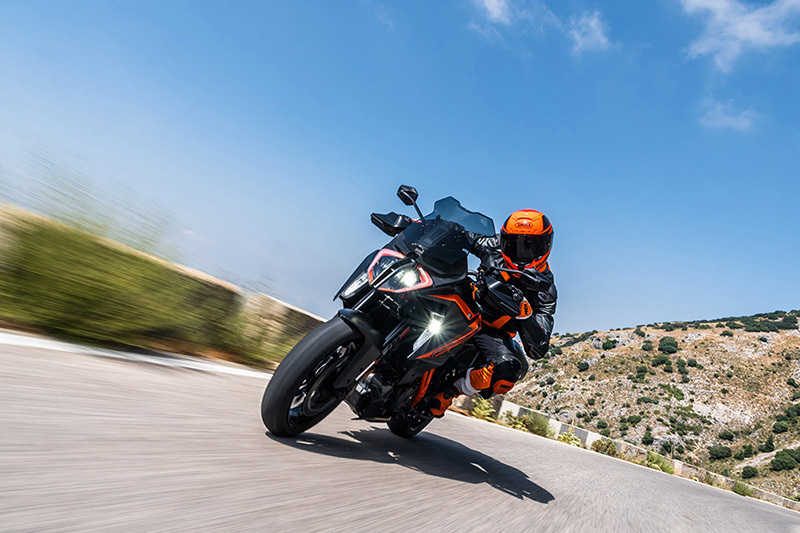 Front Dual Disc brakes and rear Disc brakes provide stopping power. 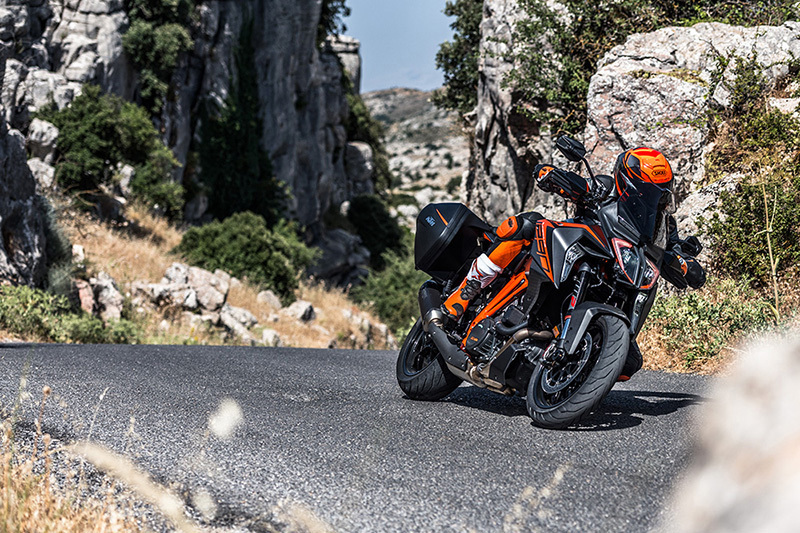 The Super Duke 1290 GT comes standard with a Two-Piece, 2-passenger seat.